AKIPRESS.COM - A shuttle train hit a passenger bus east of Moscow in Russia's Vladimir region, killing 19 people, authorities said Friday. Two Kazakh nationals were the drivers of the bus, one of them died, Kazakh Foreign Ministry spokesman Anuar Zhainakov said Friday. The bus bound to Russia from South Kazakhstan region was carrying 55 citizens of Uzbekistan and two drivers were Kazakh nationals, Zhainakov wrote on his Facebook page. The Russian investigative committee’s Moscow department for transport said earlier that at least 17 people had died in the collision. An emergency source has told Sputnik that a child was among those who perished. Authorities said the bus drove into the train path running a red light. 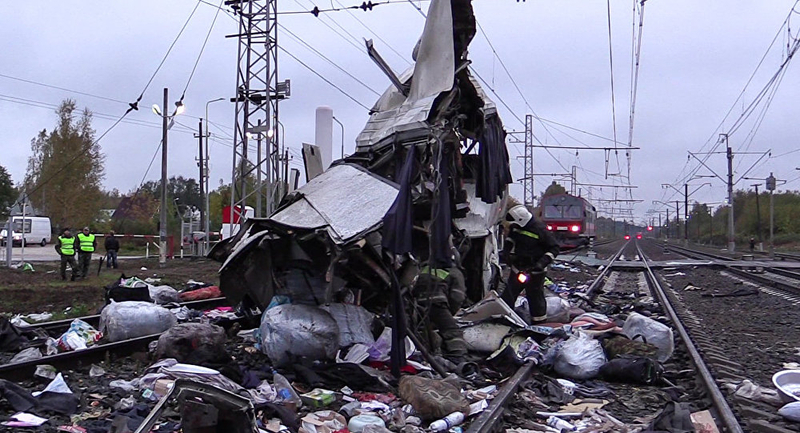 The Moscow railway authority issued a statement saying the vehicle broke down. "Tonight, at 3:39 a.m. a bus was passing a railway crossing near the Pokrov station when the engine stalled," its press office said. A spokesperson for the Vladimir governor said the bus had a Kazakh license plate and the passengers were from Uzbekistan. The regional authorities identified 15 Uzbek nationals as the victims.